Surveys are one of the most reliable ways to get real feedback from your customers. In the pre-internet era, running a survey was quite expensive and time-consuming, which meant not all companies could afford to use them. Today, in the middle of the digital era, we have diverse software and communication technologies that allow business owners to conduct surveys with minimum expense yet maximum efficiency. What opportunities can surveys bring to your business? Customer satisfaction surveys are aimed to find out your clients’ opinions about the quality of the customer service you provide, the level of your employees’ professionalism, and your company’s overall policies and strategies. The more feedback you get, the more complete a picture you’ll have of the current state of your customer experience. Collecting information about your product/service. Rarely will you know what your customers don’t like about your product/service until you see their angry posts on review platforms. Take the time to prepare a quick survey to ask your customers about the quality or your product/service and their satisfaction level. You will not only see what improvements to implement but also show your clients you care about their opinion. Conducting customer surveys allows you to see your business from a fresh point of view. This a good way to find out what your customers want the most. For example, if you are going to add some improvements to your product/service, asking your customers about these upcoming updates will give you the understanding of whether these changes are exactly what consumers need. There is a chance they are hoping for something completely different. Constant communication with customers and attentiveness to their feedback and suggestions will demonstrate that you are a caring business owner. It’s very important to show your clients they are much more than a source of revenue to you. What Are the Three Main Ways to Survey Customers? Market analysis should be launched when you need to find out the needs of the people you’re selling to. Performance tracking is a good method to use if you need to know the effectiveness of your sales policies, support, delivery, etc. Customer follow-up is usually used right after a customer makes a purchase. This can be an email or a phone call. The goal is to thank the customer and ask for their opinion about the service they received. You can mix all these strategies to get as much diverse information as possible. So now that you know how important surveys are, you can get started with conducting your own survey. Here’s a step-by-step guide so you don’t miss anything. Before you start with the survey, you need to have a clear understanding of what information would be helpful to your business. Do you need opinions on your products or services? Do you want to get feedback on your customer support experience? Is your survey general or would it be more helpful if it was targeted at a specific segment of your customer base? There are lots of different questions that can be used in a survey: open and closed questions, questions with single or multiple responses and many more. Most people prefer taking multiple-choice surveys as they are quick and easy. Please note that the language in your survey should be simple. Don’t make your respondents think or write too much. Make sure your survey questions and possible responses are detailed, yet concise enough to ensure that respondents fully understand the target concept. If you are unsure about the quality of your survey and questions, send out a test survey to a small batch of respondents before passing it on to your full recipient list. There are many ways to invite people to participate in your survey. To get more people involved, the survey can be promoted through social media, email, or SMS. The more channels you use to send out invitations, the better. Collecting survey responses can be a real challenge. Keep an eye on your response rate, and work on an action plan in case you need to generate more responses. To improve your response rate, you can offer a gift or a discount for your products/services to motivate people to answer your questions. Once you have all the responses, you need to analyze them to understand whether you achieved your goals and got answers to all the questions you wanted. Once you have a full set of data in front of you, create a report and dig in to find trends in the responses. Which Survey Tools are Best to Use? Any survey must be well-designed and easy-to-use so that your customers are actually willing to take it. If your survey is boring, contains tons of long questions, and requires customers to spend a lot of time, the response rate will likely be very low. We have prepared a short list of the most popular and effective survey tools for you to consider. Survey Monkey is probably the most commonly used tool. It’s very simple, easy-to-use, and the free plan allows you to collect 100 responses per survey. Survey Gizmo can be tailored to your business needs. It does require monthly fees but does not limit you to the number of responses. Google Forms is a simple survey tool that is a perfect solution for those who have a Google account. Google Forms offers privacy settings and Google Sheets synchronization. If you need to create a basic survey form, this is a good tool to use as it has everything you may need: multiselect, multiple choice, and open-format answer options. PollDaddy is a WordPress product that offers a wide range of features (ratings, quizzes, polls, etc.). If your surveys have up to 10 questions and require no more than 200 answers per month, PollDaddy is free. Survs is a free source that allows you to run an unlimited number of surveys per month. Each survey should have not more than 10 questions and receive up to 200 answers. Although the free version of the program has feature limits (for example, you can’t add images to the surveys), it’s still very useful. If you need to conduct quick and short surveys, Survs is a good tool to consider. Consumer surveys are a valuable tool for any kind of business, especially for small and medium-sized companies. Despite their simplicity, surveys are one of the most reliable sources of information, and a great way to find out what your customers like and dislike, what they want and need. Collecting feedback through surveys will help you to take the pulse of your customers and make sure your processes are working properly and your clients are satisfied. Author Bio: Olga Mykhoparkina is a Chief Marketing Officer at Chanty a simple AI-powered business messenger and a single notification center. This powerful and free Slack alternative is aimed to increase team productivity and improve communication at work. Having a 9-year experience in digital marketing field, Olga is responsible for Chanty’s online presence strategy, managing an amazing team of marketing experts and getting things done to change the way teams communicate and collaborate. Follow Olga on Twitter or feel free to connect on LinkedIn. For many people, the idea of “being your own boss” is part of the American Dream. As a small business owner, you can set your own schedule, take time off when needed, and have full control of your lifestyle — in theory, at least. What Motivates Small Business Owners? In November 2015, Credibly conducted a survey of over 1,400 small business owners, asking them, “What was your primary motivation to start a business?” 42.3% answered that the “ability to choose my own lifestyle and manage my own time” was their primary motivator. The desire for freedom of lifestyle skews even higher for women and younger business owners. 45.2% of female survey respondents selected it as their primary motivation for starting their business, compared to 39.9% of male business owners. Among business owners aged 25-34, a full 52.14% reported that “ability to choose my own lifestyle and manage my own time” was the main driver for starting their businesses. But does the dream of business ownership match up to the reality? 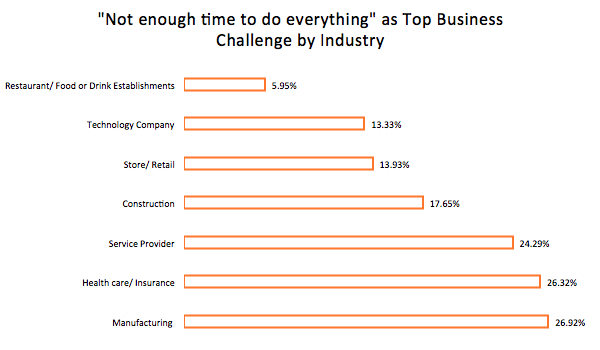 When asked “What is your biggest challenge as a business owner?,” the second-most popular response was “Not enough time to do everything,” with 20.3% of survey respondents reporting time management as their biggest challenge. “Not enough time” was the biggest concern for owners of manufacturing companies — 26.9% selected it as their biggest challenge — and it was a slightly more popular response for female entrepreneurs (21.4%) compared to male entrepreneurs (19.4%). 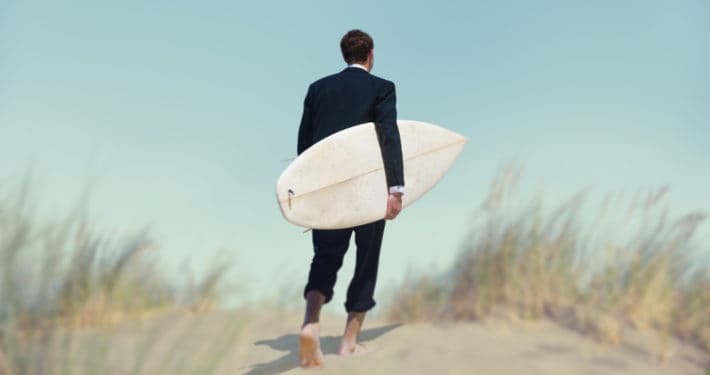 Does Business Ownership Really Provide Freedom of Lifestyle? So let this be a reality check for budding business owners who hope that small business ownership will give them more “freedom” than they’d have as an employee of someone else’s company: It’s hard to consistently manage your time when you’re the one who has to put out the fires. The most popular response to this question was “Staffing / hiring the right people,” which was chosen by 20.9% of total respondents. Business owners from the health care/insurance industry led the pack for this answer, with 31.6% of them selecting staffing as their biggest challenge. 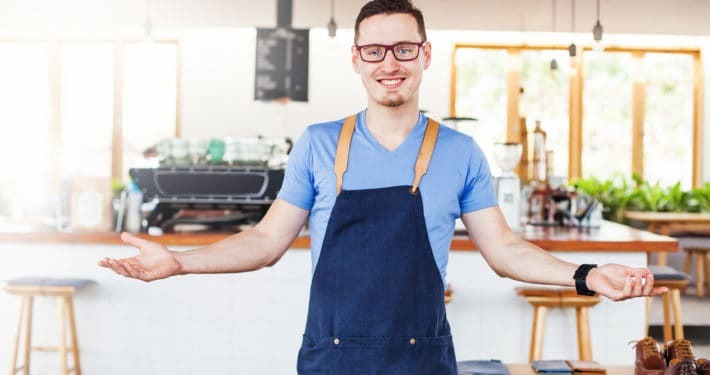 Considering that small businesses are the primary engine of the U.S. economy, optimism among business owners can be an important indicator of economic health. Fortunately, American business owners are feeling quite positive right now. Owners of technology companies reflected the most optimism of any industry subtype, with 77.8% reporting a favorable outlook on the next 12 months, including 51.1% who reported that their future outlook was “very favorable.” Owners of manufacturing companies were the least optimistic industry group, with just 61.5% reporting a favorable outlook on the success of their businesses in the next 12 months. Perhaps unsurprisingly, optimism corresponded strongly with an owner’s time in business. 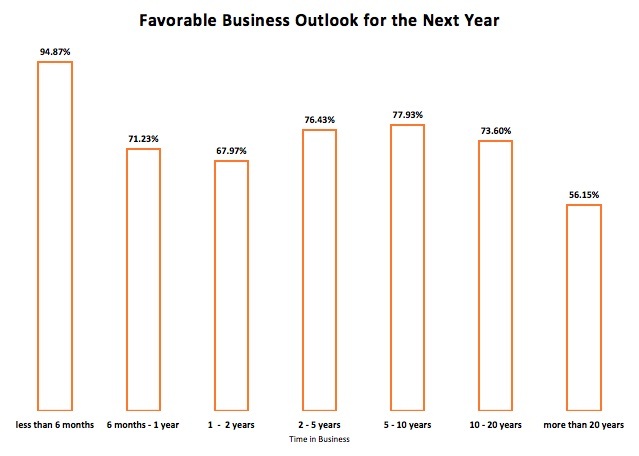 Among startup owners in business for less than six months, a full 94.9% reported a favorable outlook over the next 12 months, with 91.0% calling their outlook “very favorable.” The least optimistic group were the small business veterans: Only 56.2% of business owners with more than 20 years of ownership under their belts reported a favorable outlook for the coming year. Only 6.9% of total survey respondents answered that their future outlook was either “very unfavorable” or “somewhat unfavorable.” One-fifth of respondents (20.0%) reported that they had a neutral outlook on the year ahead. The generally high level of optimism among business owners corresponds with strong business demand over the last year. In the same Credibly survey, small business owners were asked “Over the last year, have you seen an increased or decreased demand for your product/service?” and 57.7% responded that they noticed a “significant increase” or “slight increase” in demand, compared to just 10.2% who reported a significant or slight decrease in demand. Owners of restaurants and other food/drink establishments were the big winners, with a full 79.8% reporting that they saw increased demand over the last year. And if you own a business in New England, count yourself lucky: 81.8% of total business owners in the region reported increased demand for their product or service over the last year, more than any other area of the country. From a surging labor market to continued GDP growth, there are many signs that the U.S. economy is stronger today than it was a year ago — and small business owners appear to be ready to capitalize in 2016. Optimism also tended to favor the young. According to the survey, 80.34% of business owners aged 25-34 reported a favorable outlook for their success in the next 12 months — making them the most optimistic age group. At the other end of the spectrum, just 62.42% of business owners aged 55-64 shared the same positive outlook on the next 12 months. Including Maine, New Hampshire, Vermont, Massachusetts, Rhode Island, and Connecticut. 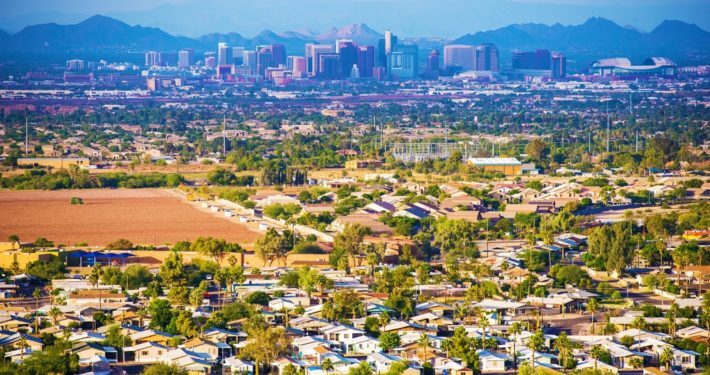 Other Arizona cities that scored well on the Credibly Business Index included Scottsdale (75) and Tempe (71), though the fast-growing city of Surprise, AZ, turned in a frightful score of 15, partly due to its low survival rate. Roughly 64% of Surprise small businesses will close within two years of opening. Albuquerque, New Mexico (65), continues to be a strong and steady hub for small business in the Southwest, leading the pack for the “Land of Enchantment” and outscoring every other city in Nevada and West Texas. According to stats from the Credibly Business Index, Albuquerque is home to 11,589 unique small businesses, producing $28,767,943 in annual revenue, and boasts a two-year survival rate of 82%. The Credibly Business Index takes data from the United States Census and the US Small Business Administration — such as the number of businesses in each city, their annual revenue, and how many businesses stay open after their first two years — and uses a proprietary calculation to crunch those variables into a single number on a scale of 1-100, which reflects the friendliness of those cities towards small businesses. 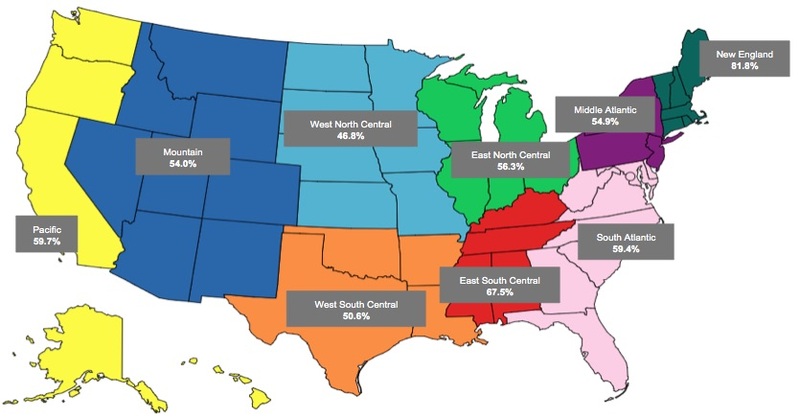 For this analysis of the best Southwestern cities for small business, we looked at 17 major cities in the Southwestern U.S., spanning various geographic regions and demographic makeups. What are the best big cities for small business owners to make a splash? 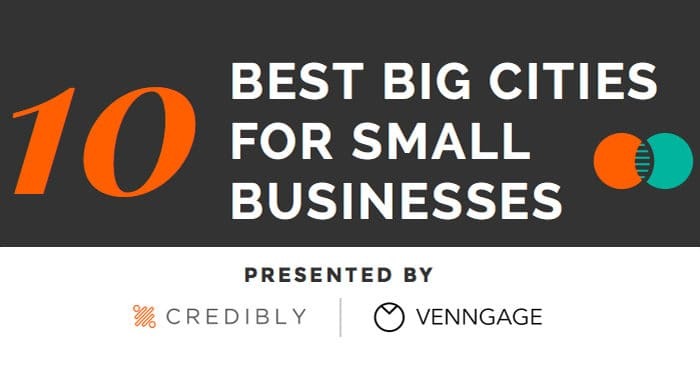 Credibly and Venngage have joined forces on a new infographic that lays it all out: The 10 Best Big Cities for Small Businesses. We took the 20 most populous cities in the United States, then cherry-picked the 10 that had the highest Credibly Business Index scores, indicating their “friendliness” towards small businesses. (Cities with matching scores were ranked based on their annual small business revenue.) The result is a fairly definitive ranking of big cities that are fertile ground for business ownership and entrepreneurship. All signs point to Florida being one of the country’s hottest states for small business growth. SBA loans have exploded in Broward and Palm Beach counties this year, and optimism among Florida business owners is on the rise. But which Florida city is the best for starting a small business? According to the Credibly Business Index, St. Petersburg is the most business-friendly city in Florida. St. Pete earned an Index rating of 79 based on the overall health of its 5,459 small businesses and its exceptional survival rate: Only 22% of St. Petersburg small businesses close within the first two years. Coming in a close second was Fort Lauderdale, which scored a 78 on the Credibly Business Index. The Broward County seat has been a major driver of the area’s small business boom, with 9,319 unique small businesses generating about $19 million in annual revenue. Miami took the #3 spot in our best Florida cities list (Index score: 74), followed by Florida’s most populous city, Jacksonville (72). On a less positive note, Cape Coral came in dead last among Florida cities, with an Index score of 25, based on the low average revenue of its 2,277 small businesses, and an intimidating two-year failure rate of 65%. The Credibly Business Index takes data from the United States Census and the US Small Business Administration — such as the number of businesses in each city, their annual revenue, and how many businesses stay open after their first two years — and uses a proprietary calculation to crunch those variables into a single number on a scale of 1-100, which reflects the friendliness of those cities towards small businesses. For this analysis, we looked at 15 major cities in Florida spanning various geographic regions of the state and demographic makeups. Fun fact: In 2014, Orlando and Miami were named the two best cities for food trucks in the U.S., with Tampa coming in at #9. If you’re interested in taking your restaurant on the road, download our free white paper to learn more about food truck ownership. What’s the best Midwest city for small businesses? According to the Credibly Business Index, Chicago reigns supreme — and it’s not even close. The Credibly Business Index takes data from the United States Census and the US Small Business Administration — such as the number of businesses in each city, their annual revenue, and how many businesses stay open after their first two years — and uses a proprietary calculation to crunch those variables into a single number on a scale of 1-100, which reflects the friendliness of those cities towards small businesses. Chicago’s strong showing is due to its 46,298 unique small businesses, generating $122,832,938 per year in cumulative revenue. The two-year survival rate for Chicago businesses is relatively high, with only 29% of businesses failing within the first two years. 20.5% of Chicago businesses (9,492) reported that they took out small business loans to meet their operational needs. 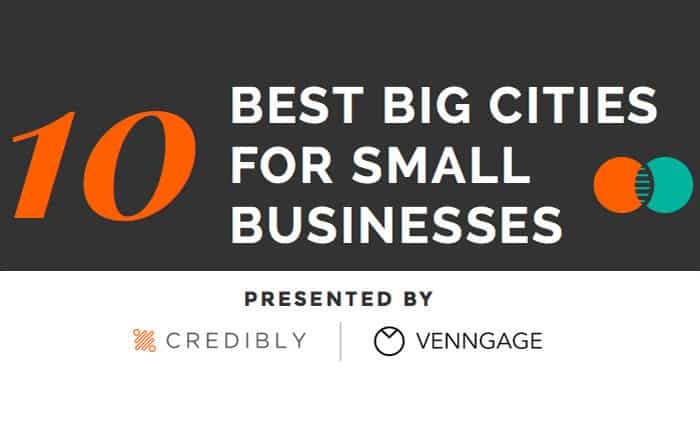 Coming in second place on the list of best Midwest cities for small business was Indianapolis, which earned a Credibly Business Index rating of 80. No other Midwest city scored higher than 75. 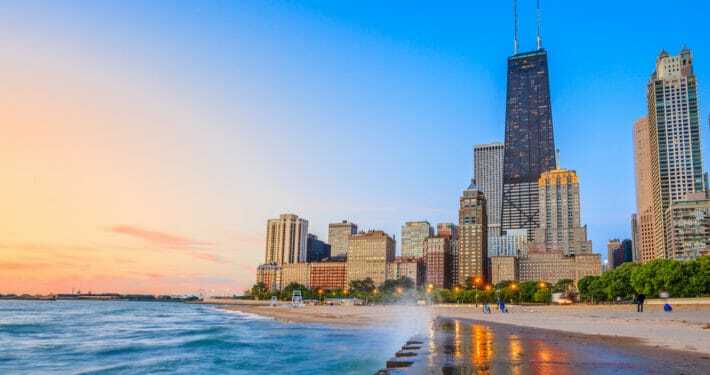 Check out the Midwestern leaderboard below, and the full list of 226 U.S. cities on the Credibly Business Index right here. Is your home city a good place to launch a small business, or would you have a greater chance at success somewhere else? Until now, there hasn’t been a simple guide to help entrepreneurs answer that question. Credibly is about to fix that. In our quest to provide practical resources for small-business owners, Credibly.com is proud to announce the Credibly Business Index, which aims to calculate the “friendliness” of American cities towards small businesses. 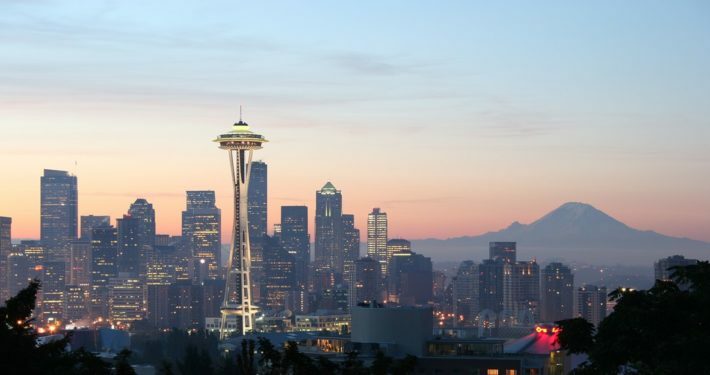 With matching scores of 92, the top rated cities in the Credibly Business Index were Seattle and San Francisco — two well-known hubs of high-tech ingenuity. Though business competition is strong in both cities, the available talent and opportunity to reach consumers with fresh ideas is unparalleled. Adding to the West Coast’s strong showing, Portland landed in fourth place with a score of 85. Infamously named “America’s Most Miserable City” by Forbes in 2009 and 2011, Stockton came in dead last on the Credibly Business Index, with a woeful score of 28. Stockton’s poor tally owed to its intimidating failure rate for small businesses — roughly 67% of Stockton small businesses will shutter within the first two years — as well as its recent municipal bankruptcy. But Stockton wasn’t the only California town that’s challenging for small-business owners: Sacramento (52), Long Beach (52), Oakland (54), Chula Vista (54) and Fresno (54) also turned in underwhelming scores. Is Texas a good state to start a small business? It depends on where you are. The scores for the nine Texas cities we considered landed all over the map, from frontrunner strong (Austin and Houston, both at 80) to bottom of the pack (Arlington at 51, El Paso at 53, Corpus Christi at 55). Browse through all 74 cities in the Credibly Business Index right here, and read on for our lists of the highest and lowest scoring cities.